- More protective then the entry level helmets. We are well established manufacturers and exporters of a qualitative range of Flash Practice Cricket Helmets that are manufactured using best grade raw materials and advanced technology. We also offer our range in various specifications that meet the individual requirement of our clients. Moreover, we offer our range at competitive prices. 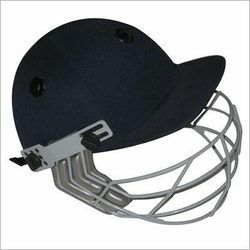 Bringing forth a wide assortment of Cricket Helmet. These helmets are fabricated by making use of superior grade raw material and latest technology. Available in ABS plast and polypropylene popular, high visibility design, super light weight and comfortable.comes with safety grid.